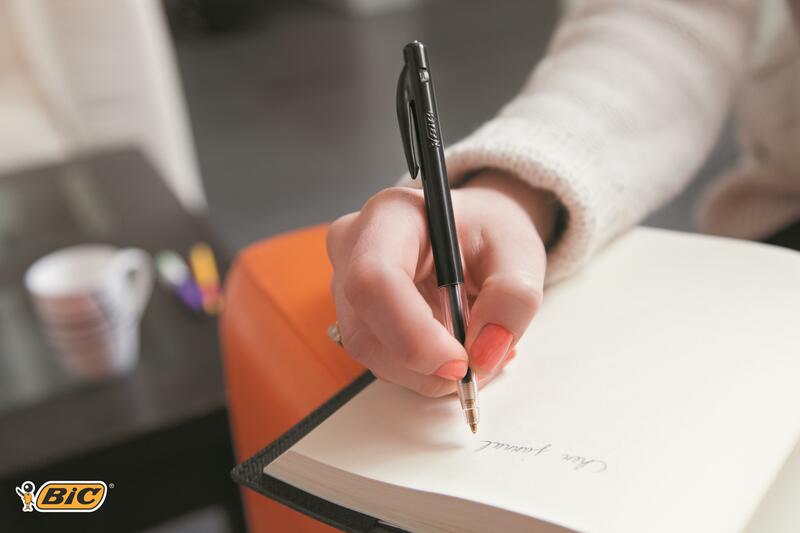 This sleek Bic Clic ballpoint pen features a robust tungsten ballpoint tip and smooth-flowing black ink with a medium 0.4mm line. The transparent lower barrel is grooved for a better grip and increased control when writing, while the black upper barrel features a clip for storage. 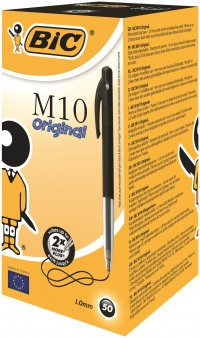 Simply press the side button to conveniently extend or retract the nib. 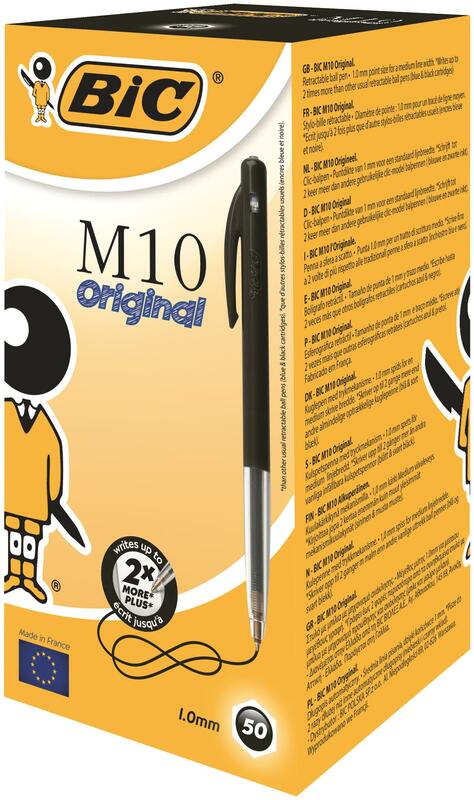 This pack contains 50 black pens.